Home » Useful Resources » What is Linkworth and Why You Should Stay Away From It? Many business owners choose the marketing portals to build better profit. Unfortunately, some websites are known for defrauding people just to rob them of their hard work, and such sites should be avoided so that the faith over the internet must be restored. 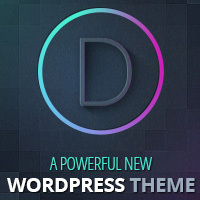 I was once an advertiser of a well-known website called Linkworth where it connects advertisers and publishers through various types of link advertising. 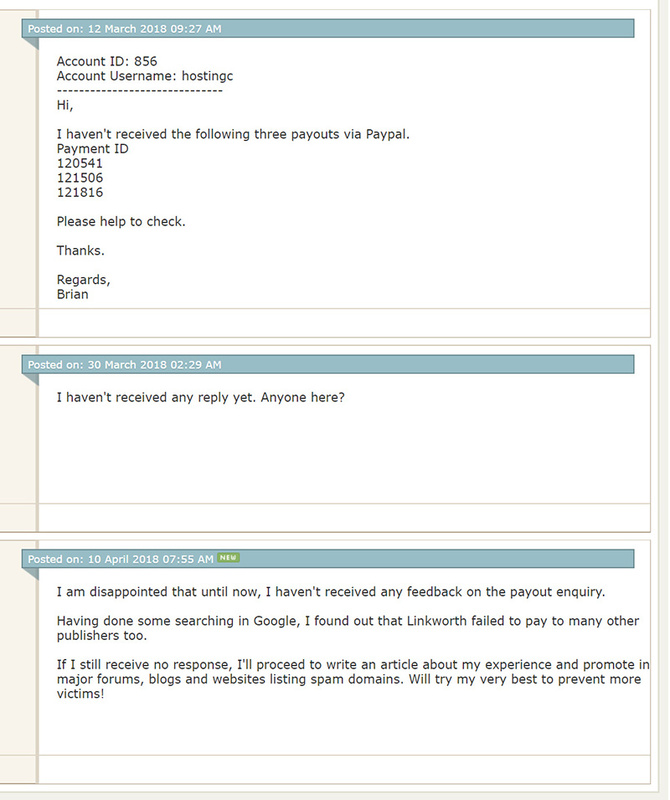 Be careful guys, Linkworth can destroy your effort by refusing to make payment. When I started partnering with Linkworth, I put trust in it and attracted quite a number of paid publishers. Sadly, Linkworth is here to fool the advertisers. They only care about collecting payment from the publishers and keep the full payment for themselves. 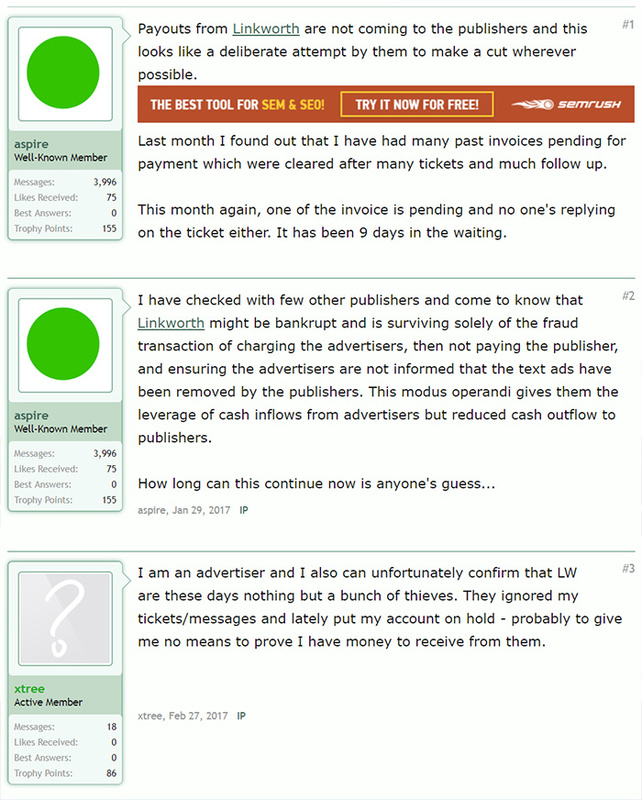 While searching throughout the web, I found out that even other advertisers were experiencing the same problem of non-payment. This article is served to warn all advertisers out there to stay away from this fraudulent company. 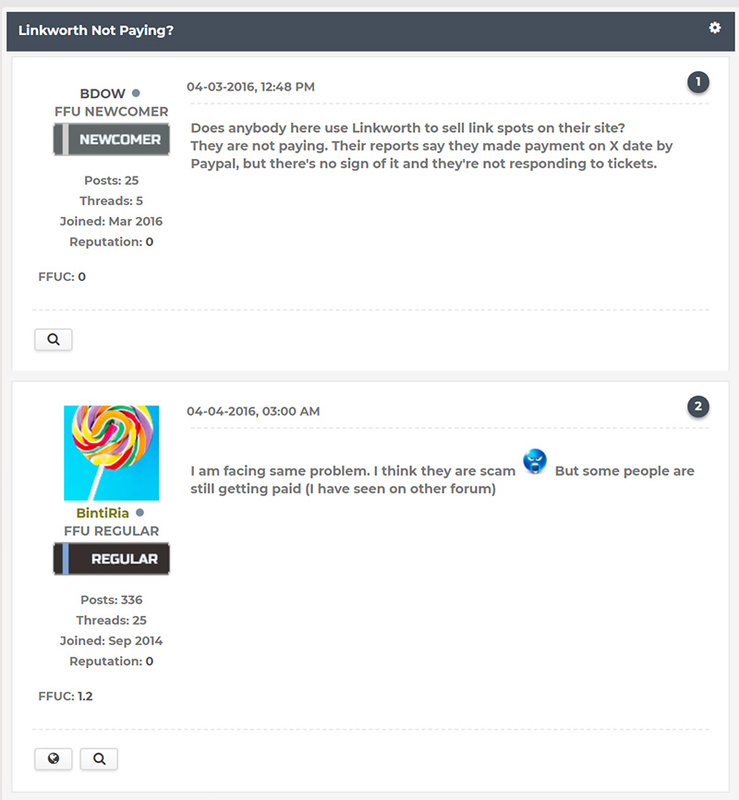 If you are also one of the victims of Linkworth, I suggest you to report them to Scamwatch and BBB to raise awareness and prevent others from being the next prey.